As we have been looking at house listings online, Aaron and I will often comment and make jokes about street names that remind us of an inside joke or relate to a familiar pop culture reference (fellow fans of The League will understand why we laughed when we looked at a house on Shiva Ct.). In my hometown, Columbia, MD, many streets take their names from famous works of art and literature. 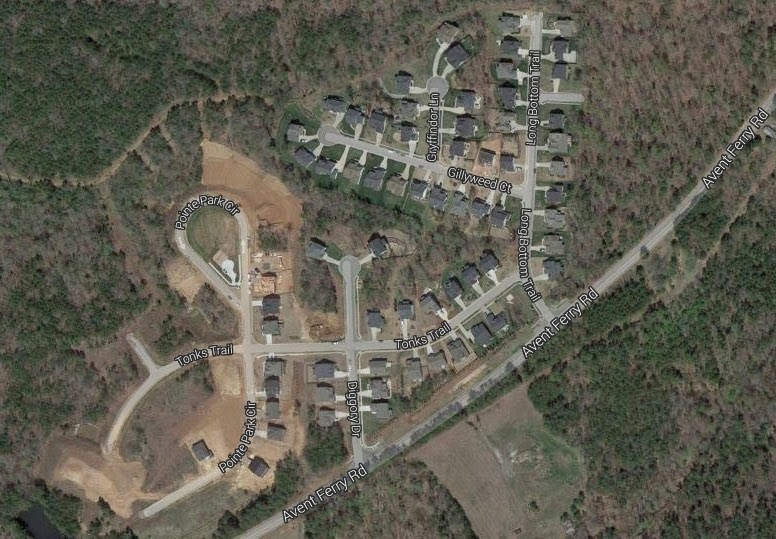 The neighborhood of Hobbit's Glen takes its street names from the works of J. R. R. Tolkien; Running Brook, from the poetry of Robert Frost; and Clemens Crossing, was inspired by author Mark Twain. 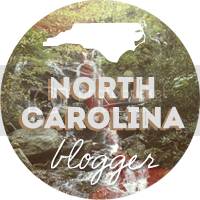 North Carolina is no different. 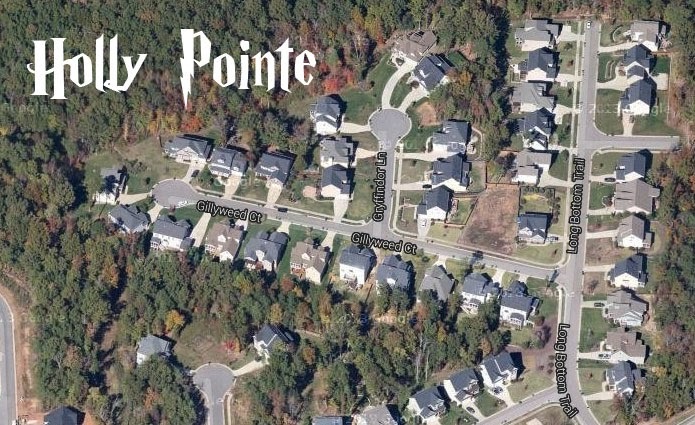 A neighborhood in Holly Springs, NC called Holly Pointe uses many iconic names from Harry Potter vernacular. In this community you can find house models and street names inspired by the wizarding world. Holly Pointe street names include Gillyweed Court, Longbottom Trail, Diggory Drive, Tonks Trail and Gryffindor Lane. Each house model has a bewitching title including, The Dobby, The Grimmauld, The Portkey, The Hedwig and The Burrow. I'd like to live in The Portkey on Gryffindor Lane, please! What pop culture or interesting street names can be found in your community? I know RIGHT?!? Let's all move there!